If you are considering doing a face lift, you might not recognize that there are several different ways you can explore to regain your youthful look. To combat the aging process, several individuals resort to surgical intervention with the expensive procedure of a face-lift. 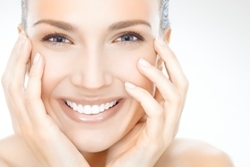 Are you aware that there are alternatives that do not require you to go under the knife? For several years now, people have been discovering options which have proven to decrease wrinkles as well as give a more youthful look. If you do not want to subject yourself to surgery, here are 6 non-surgical face lift procedures you can opt for. The term liquid facelift refers to the use of cosmetic injections to attain facial rejuvenation and wrinkle reduction. The liquids are available under different brand names; however they all work the same way. They are injected in very little amounts and can result in swelling. Recovery time depends on the type of injectable used as well as the extent of the procedure. Bruising can last up to one week, however can usually be covered with makeup. If you wish to obtain solid results without going through surgery, you should consider using this facelift procedure. This is one of the most popular non surgical facelift options. The procedure essentially tightens the sagging skin and removes wrinkles in a non invasive manner. In this facelift procedure, radio frequency is utilized for accentuating as well as improving the facial skin. Heat is utilized to stimulate elastin and collagen production in problem regions of the face. After the procedure, you might experience swelling and redness on the skin which may last for a few hours. The market is flooded with different brands of face lift lotions, creams and other face lift products. However, not all of these products are effective. It is important that you select a skin lotion or cream that has proven helpful for several individuals. Face lift lotions and creams are among the least invasive options to conventional face lift procedures. However, these anti aging products do not have a long-lasting or permanent effect. Also, you have to select one that is most suitable for your skin, to exclude the possibility of skin rashes and irritation. This is a relatively new and less invasive option to a conventional surgical face lift. The main elements in this face lift technique are the special suture-like threads, which have cogs or barbs along their length. 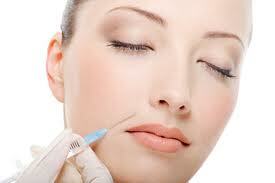 In this procedure, the cosmetic surgeon utilizes a special needle to insert the thread under your skin. The needle is inserted via tiny incisions. Next, the doctor gently pulls the thread up and the barbs grasp the tissue, pulling your facial skin into a more delightful position. After that, the thread is tied off and the tips are buried beneath the skin. Collagen is formed around the thread while your face heals. This helps to hold up the skin in its new position. At the minimum, 4 threads are needed to perform this treatment in case of drooping skin. In this minimally invasive procedure, a doctor utilizes a laser to resurface as well as tighten skin tissues. This treatment results in a wrinkle free and better toned skin, making you look more beautiful and younger. But this treatment has some side effects like skin discoloration and pain. However these side effects usually disappear within a couple of days. This face lift treatment is a non-invasive, non-surgical method that provides a variety of aesthetic benefits. It uses a technology referred to as micro-current, and consists of supplying low levels of electric current to the treatment area so as to bring about favorable chemical reactions at the cellular level of the skin. The electrical current used in this treatment is much like the body’s natural electrical current that provides several benefits. The action of a micro-current face lift improves the body’s natural elastin and collagen production, enhances circulation, re-hydrates, smoothens and firms the skin. With all these available options, it is obvious that you do not need to go through a major surgical procedure to obtain the face lift that you have always wanted. Before choosing to go through any of the treatments presented in this article, you should get the opinion of a skin specialist or doctor to avoid risks associated with face lifts. Nelson Homes is a blogger for hallandwrye.com. He likes to blog for beauty and skin care related topics.In his free time likes to research on various cosmetic surgery procedures. Cosmetic surgery: what you need to know A Manlier Beauty: Plastic Surgery for Men Facing severe loss of elasticity in your skin? Can dermal fillers help? 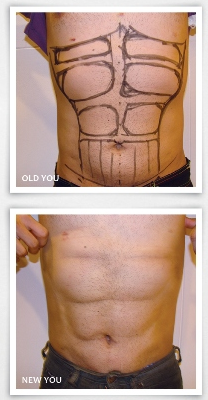 How Does Cold Laser Fat Reduction Work?